For our last day of university tours we visited the Royal Melbourne Institute of Technology. For our last day of university tours we visited the Royal Melbourne Institute of Technology, or RMIT, led by Dr. Alan Harvey. We first heard a lecture on 3D printing by Dr. Joe Elambasseril. He went over the various processes of 3D printing and the technologies behind them. We also got a tour of their 3D printing lab and got to watch a lot of the machines in action. We then heard our long awaited lecture by our very own chaperone: professor Jerry Sobelman! Prof. Sobelman talked about his current interests including cognitive radio and alternative ways of utilizing radio frequencies using ultra wideband, and how that might be implemented. He also talked to us about VLSI architectures. Finally, Dr. Harvey led us on a tour of the campus and its surrounding areas. 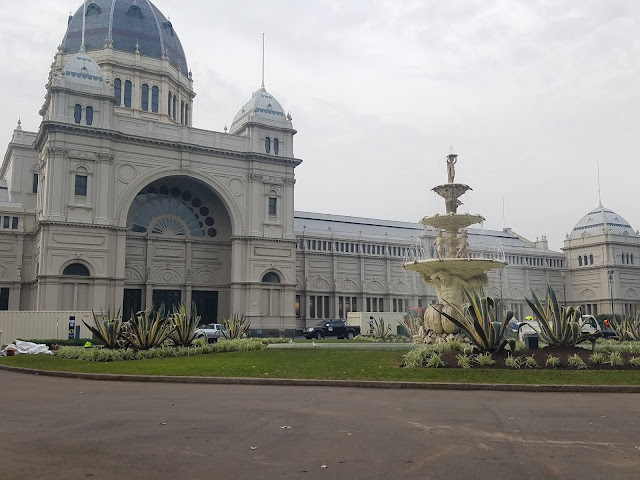 We went to the old Melbourne Gaol (jail), the State Library of Victoria, and a mall with a beautiful historic building serving as a museum under a large domed ceiling. RMIT is a beautiful campus integrated into the city and with both historic and new buildings and loads of culture. Personally, I believe it is an extremely apt representation of Melbourne as a city, historic but still advanced.